A new Event commencing on the 26th of April 2019. 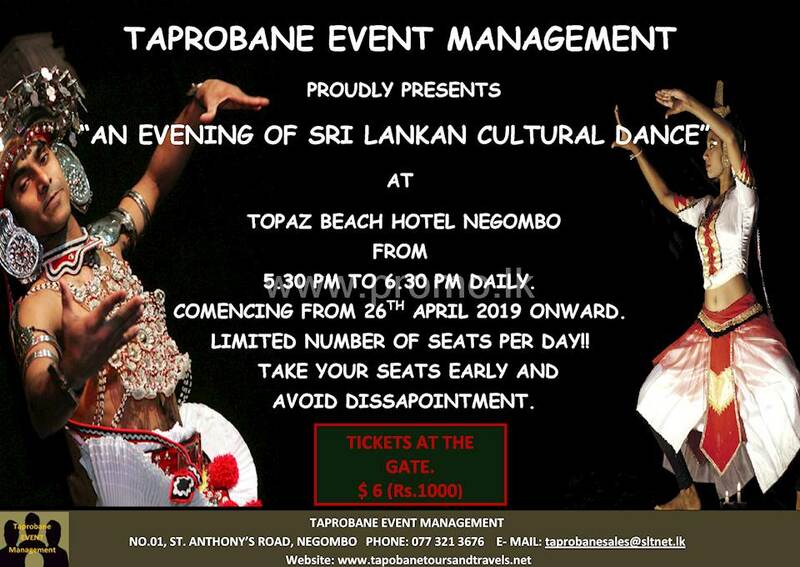 Sri Lankan Cultural Dance Show in Negombo! Highlighting all forms of Dances in Sri Lanka... including Traditional Kandyan Dances and Low Country Dances and an amazing Fire Dance!